Can I tell you a secret? I’ve never been great at consistency and honestly, forming new habits doesn’t come easily for me. Can you relate, friend? 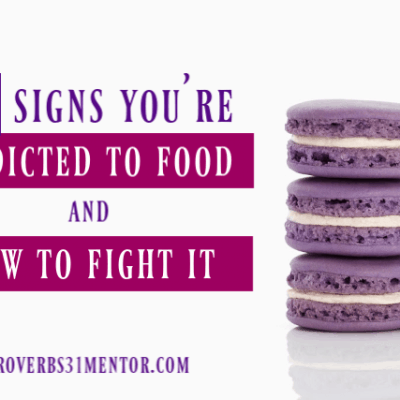 Therefore, when I started reading God’s word and discovered a passion for fellowship with Him, I was afraid I would fizzle out just like with all of the other things I tried. In fact, I’ve heard from so many of you that consistency and lack of time are your biggest stumbling blocks with regular Bible study time. I can SO relate! 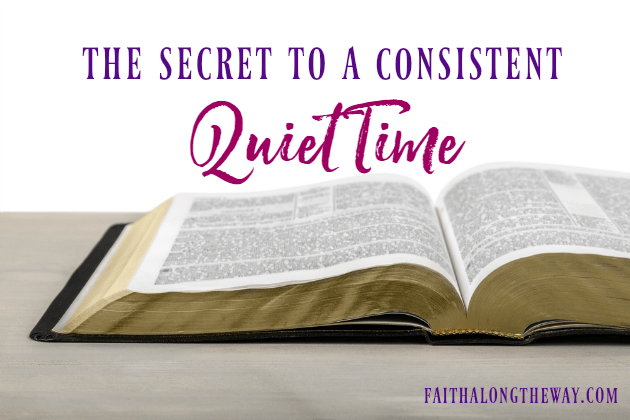 As I began maturing in faith, these three simple secrets helped me to gain momentum in my quiet time. They also helped me make reading the Bible a priority with a busy schedule. Like any new goal and habit, planning for spiritual growth is a must. Sure, you could haphazardly read a few verses and check off Bible study reading on your to-do list (I’ve actually done that! ), but in order to experience true spiritual growth, you need to think through a few logistics. Knowing what you will study and how you will study is half of the battle that many face. 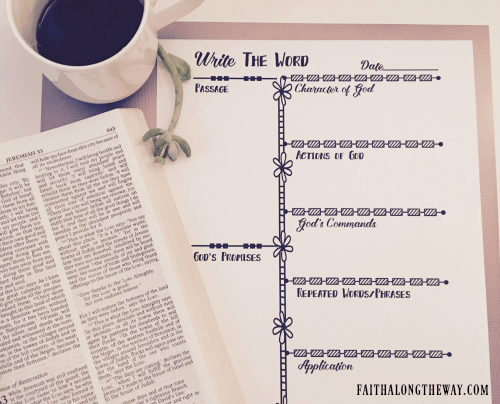 It’s hard to put it off when you’re right in middle of the Write the Word study on Psalms, for example, and your goal is complete a Write the Word study for 10 of your favorite Psalms. Or maybe you’ve grown spiritually and you want to dive into the life of Paul and are completing a Book of the Bible study on the book of Acts. Like any new habit, once you have a flexible plan (hey, life happens! ), you’re more likely to stick with it and make it happen. If the idea of setting a spiritual goal and creating a loose plan is a bit overwhelming, just breathe. If you’re a beginner, I recommend starting with the book of Matthew and then moving on to the other Gospels. 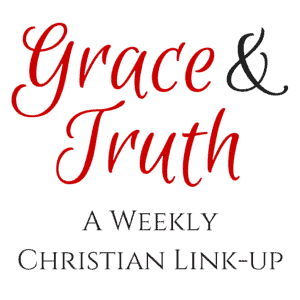 It’s crucial to build a strong foundation of the life and character of Jesus, and the Gospels are very “reader friendly.” Try reading a chapter a day and then completing a simple Read and Respond template. It’s a great way to process what you read and have a record of it for further reference. As you mature and hunger for the word of God, move on to other methods of study, including Verse Mapping, where you dissect a verse for greater understanding and clarification. Having a ton of Bible resources at your fingertips isn’t necessary to dive into God’s Word. But having the right tools can set you up for success as you learn study methods and how to organize your materials. In fact, other than a Bible (and if you don’t have one, you can use Biblegateway.com) and a pen, there is only one other tool I would recommend for women. This quiet time essential is a quick and simple way to implement these study methods into your own Bible study time. 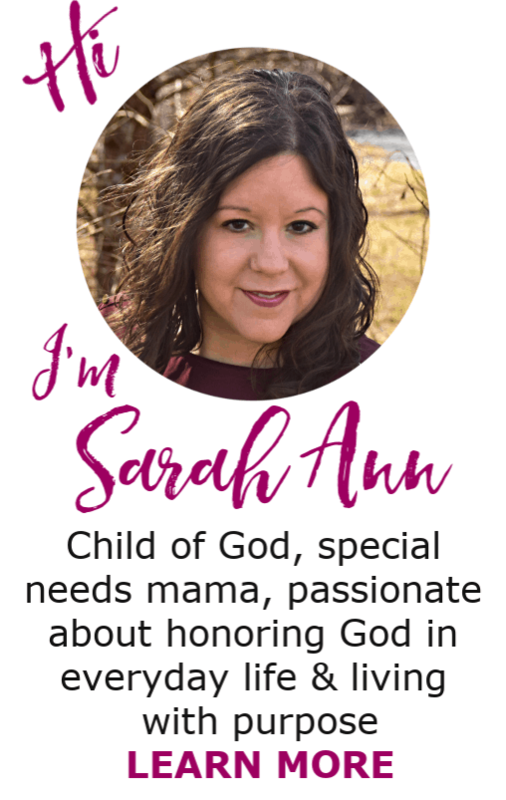 Experience the convenience of pre-made Bible study templates designed especially for women. 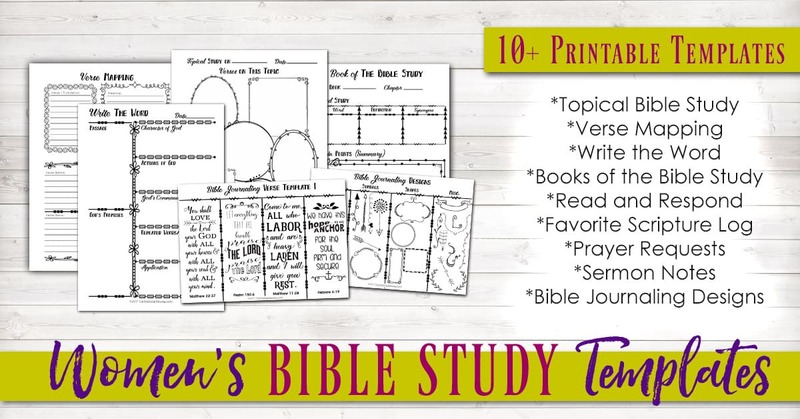 (It includes templates for the following Bible study methods: Write the Word, Read & Respond, Verse Mapping and Book of the Bible Study). Track prayer requests, record of your favorite verses and process sermons with sermon notes. 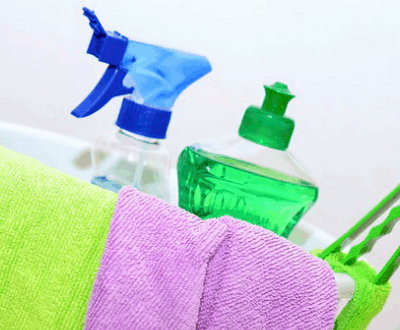 Just like starting a new sport or hobby, having the right tools will set you up for success. And when you’re finding success and connection through regular prayer and Bible study, that’s when you begin notice the transformation by the grace and power of the Lord. 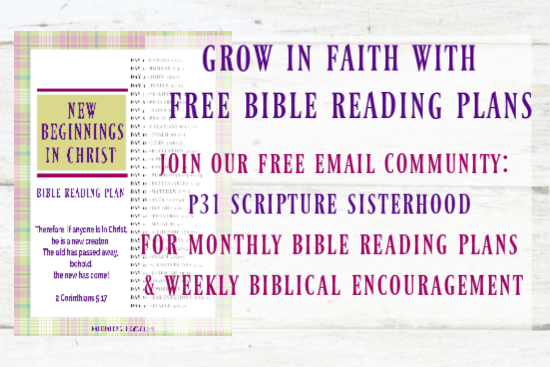 Let the Women’s Bible Study Templates help your quiet time be consistent and meaningful! For less than the price of a meal out, you can have access to simple and practical Bible tools. 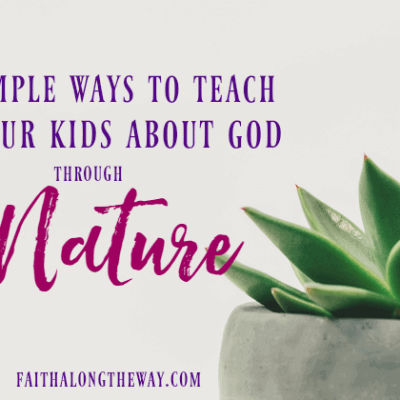 Are you interested in simple and practical Bible study tools for the whole family? 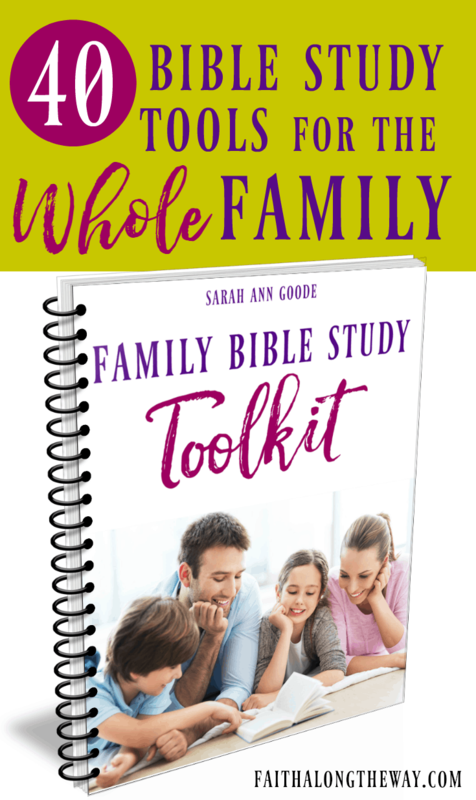 Check out the 40+ page resource bundle, The Family Bible Study Toolkit here. There are times when we are paralyzed by dreams that may never come true and stay stuck. I love this encouragement from Alicia from Flourishing Today to trust God even when all hope seems lost. In To the Girl Whose Dreams Look Dead, Alisa reminds us to cry out to God with our hopes, dreams and disappointments.